Did you hear about the Olive Garden restaurant review that went viral a while back? To most people, Olive Garden’s just a basic chain restaurant. It doesn’t taste like your Italian grandma’s home cooking, but overall, it’s a pretty good, predictable dining experience. It’s nothing especially noteworthy to most of us, though. She wrote, “The place is impressive. It’s fashioned in Tuscan farmhouse style with a welcoming entryway,” which is adorable since every Olive Garden looks identical. I think my favorite line was when she described the setting by writing, “I noticed the vases and planters with permanent flower displays on the ledges” (a nice way of saying that she noticed the fake flowers). 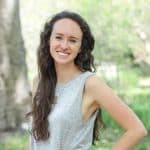 The Internet fell in love with this sweet, sincere lady, and I’d be willing to bet that Olive Garden’s sales went up a bit after her review went viral. And after all, Olive Garden does have amazing salad and breadsticks. Every time I go, I get the unlimited soup and salad, and my favorite soup of all is their Pasta e Fagoli…that is, until I started making it at home. Homemade pasta e fagoli is super easy to make, and it makes a lot, so it’s perfect for leftovers. You can also freeze it, which I sometimes do and then take some back to school with me! Brown beef in a large soup pot and drain grease. Add the rest of the ingredients except for the pasta and bring to a boil. Turn down to medium low and cook for 2-3 hours. Cook pasta just before serving and add to the pot. Serve topped with grated parmesan cheese, if desired. Alternatively, you can brown the beef in a skillet and then add everything except the pasta to a slow-cooker. For this method, cook on low for 7-8 hours or on medium-high for 4-5 hours. Cook the pasta separately and add just before serving. Wait, that old lady sounds absolutely ADORABLE. Aren’t cute old people just the best? They make my heart so happy haha! 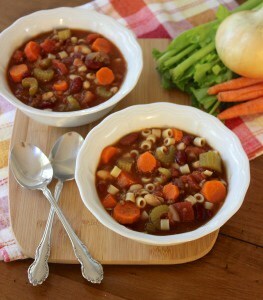 But guess what else makes my heart sing… SOUPS LIKE THIS! I’m not sure if I’ve ever tried this from Olive Garden, but I know it’ll be on the menu for me and Kyle this week. Pinning and eating as soon as I restock my kitchen! Doesn’t she sound like the cutest? I love sweet older people, too 🙂 Thanks for pinning, Christine! That restaurant review is both hilarious and adorable! I’ve never been to Olive Garden, but I have definitely heard that their breadsticks are fantastic. 🙂 This soup looks absolutely delicious!! Sadly I think our soup days are almost over out here [its going to be 80 this weekend!] but I still love me a good bowl of soup! And this one looks and sounds delicious! 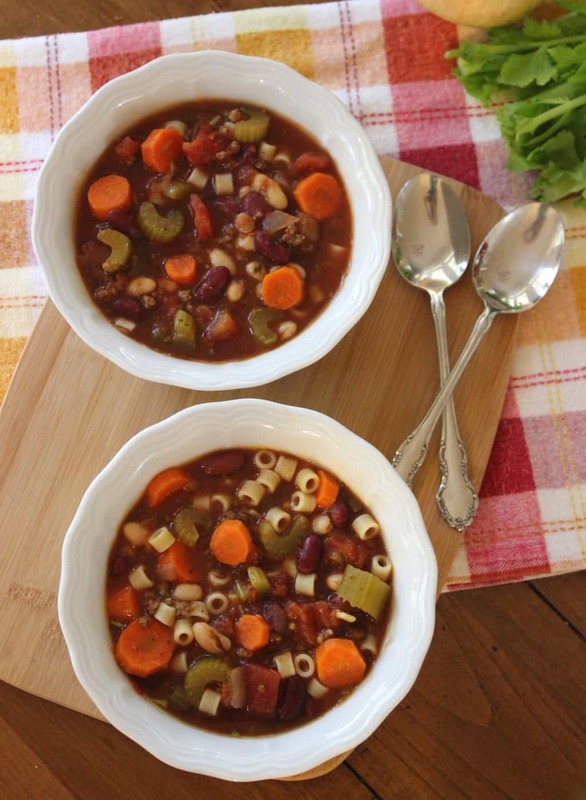 I typically get the minestrone at Olive Garden, but this one looks great too! Wow, 80 degrees in January?! I’m a little envious. 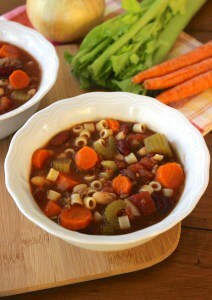 Their minestrone is really good, too! I somehow missed that viral review, but that is adorable! I guess it goes to show that what is commonplace for one person is fancy for another! Thanks for sharing the recipe. How cute, right?! So true, and I love that she found joy in the little things 🙂 Thanks for stopping by, Doug! A very nice post, Liv. I’ve never been to Olive Garden but with your delicious recipe, I don’t think I would ever need to go there. 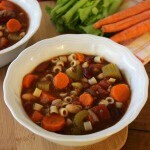 It was such a comforting dish to have in this cold winter time. I actually love Tabasco sauce so I ended up putting more than you had instructed as I never had it with a pasta dish before. I’m so glad you enjoyed the soup, Maria! This is one of my favorites for winter, too! Awesome! I hope your family loves it. Thanks for pinning and sharing! !